The vast majority of homeowners fully understand the importance presenting a clean, bright and well organized home to potential buyers. I don’t think however that many of the homeowners understand just how important proper staging of a home for sale can be. The truth is that a well staged home is not only likely to sell more quickly but may even affect the selling price. While proper staging may not dramatically increase the value of a home it will increase its attractiveness to potential home buyers. Remember that a home buyer is trying to “mentally” see themselves in every home that they look at. They are visualizing sitting at the breakfast table enjoying a morning coffee or eating at the table with family and friends. Anything that detracts from this process such as a cluttered kitchen or less-than-clean appearance will cause home buyers to look elsewhere. 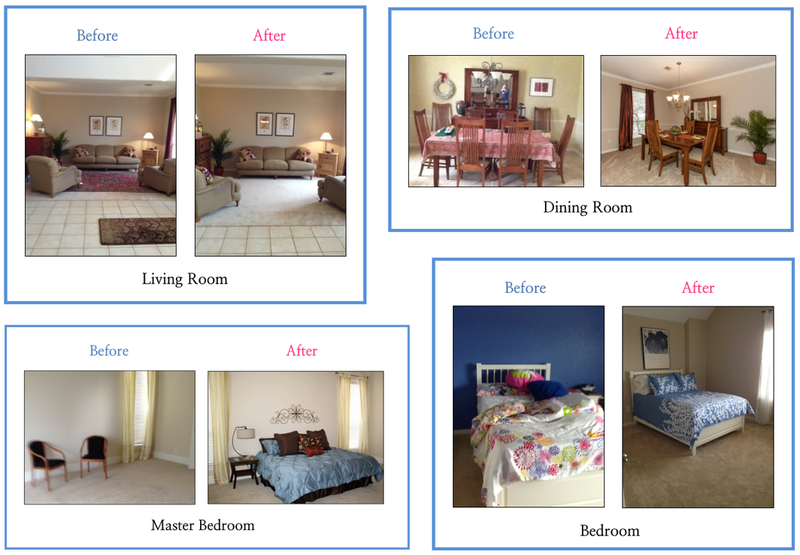 This is why staging is so important to sellers. The pros know exactly what to do to make a home appeal to the widest variety of prospects and increase your chances of selling your home quickly and for a good price. A recent survey conducted by the NAR (National Association of Realtors) revealed that ½ of all real estate agents surveyed felt that staging has a definite effect on buyer’s opinions of the home. Only 4% were of the opinion that staging had no affect whatsoever on the perspective of buyers. I fully agree with the 96% that believe staging can and does make an appreciable difference in most homes. 81% of agents representing the buyers agree that staging does indeed help the buyers to visualize the home as their own and 45% felt that a properly decorated home increased its perceived value in the eyes of a buyer. According to agents representing the sellers 34% use staging on all client’s homes for sale while 13% tend to stage only the properties that they feel will be more difficult to sell or less appealing to buyers. Considering that the average price of having a home professionally stage is only about $675 it’s a bit surprising that more sellers don’t take advantage of this valuable service. 62% of realtors also state that they offer home staging to sellers to encourage them to have it done before listing the home. Regardless of their personal opinions as to whether staging was an important first step before listing a home, all realtors surveyed agreed that buyers were willing to make a better offer for a home if it was properly staged in comparison to a comparable home that was not. The agents also agreed that the living room was the most important room to be staged closely followed by the kitchen. The master bedroom, dining room and bathroom were considered as the next best choices to stage properly. While there are many factors that affect the value of a home, 37% of the participating selling realtors in the survey felt that staging increased the value of the home from 1% – 5% . 32% of the realtors representing buyers agreed. However, 22% of the selling realtors and 16% of the realtors representing buyers felt that the increase in perceived value varied from 6% - 10%. With numbers like these it is clear that in most cases it is in the seller’s best interest to consider hiring a professional stager when placing their home on the market. In most cases the return is greater than the cost and the time required to sell the home may be greatly reduced as well.